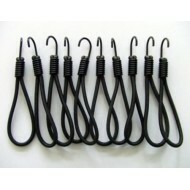 Bungee hooks are very popular fittings which are easy to use and very versatile. 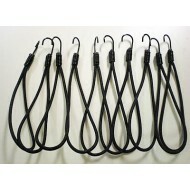 These hooks are made from a strong bungee cord with metal hooks on both ends. They are used in the transport industry, in warehouses, by local authorities, waste movement contractors, at home for DIY tasks and much more. 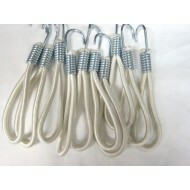 This 6mm White Polypropylene Rope (3 Strand) ideal for hundred's of uses. 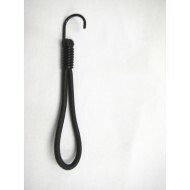 Can be used in a.. 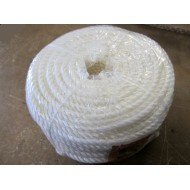 This 6mm White Polypropylene Rope (3 Strand) ideal for hundred's of uses. 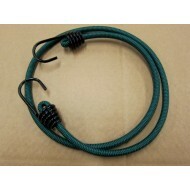 Can be.. 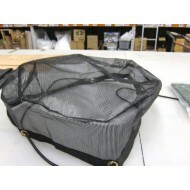 This Drum Cover is made out of Black PVC Coated Mesh. 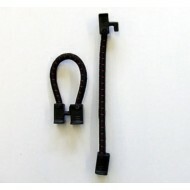 It is a strong mesh netting to..